The purpose of this study is to identify the factors that affect the behavioural intention to use mobile apps by Gen Y in Malaysia. 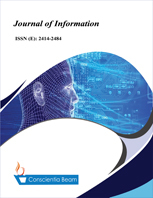 The Unified Theory of Acceptance and the Use of Technology 2 (UTAUT2) and the Diffusion of Innovation Theory (DIT) are combined to examine the drivers that affect the behavioural intention to use mobile apps. The factors include performance expectancy, habit, price value, social influence, complexity and trialability. Data was collected by distributing self-administered survey questionnaires using the quota sampling technique to Gen Y in five States in Malaysia. The results show that all these variables significantly affect the behavioural intention to use mobile apps by Gen Y in Malaysia. The UTAUT2 and the DIT have been proven to be the suitable theories that can be considered by future researchers who wish to conduct research related to technological innovations. This study is useful for apps’ designers, as they will be able to design apps to suit users’ preferences and expectations by analysing the variables. This study combined UTAUT2 model and Diffusion Innovation Theory to study the behavioural intention and confirmed their suitability. Any future researchers on technological innovation can use this new model. Additionally, this study is useful for apps’ designers to design apps to suit users’ preferences by understanding the influencing factors.